Veeam ONE Reporter includes three working areas — Dashboards, Workspace and Configuration. In the Dashboards section, you can work with predefined and custom dashboards. Veeam ONE dashboards provide at-a-glance view on the state of the Veeam Backup & Replication infrastructure and virtual environment, and present information on the health state, performance, configuration and other aspects of the managed environment. 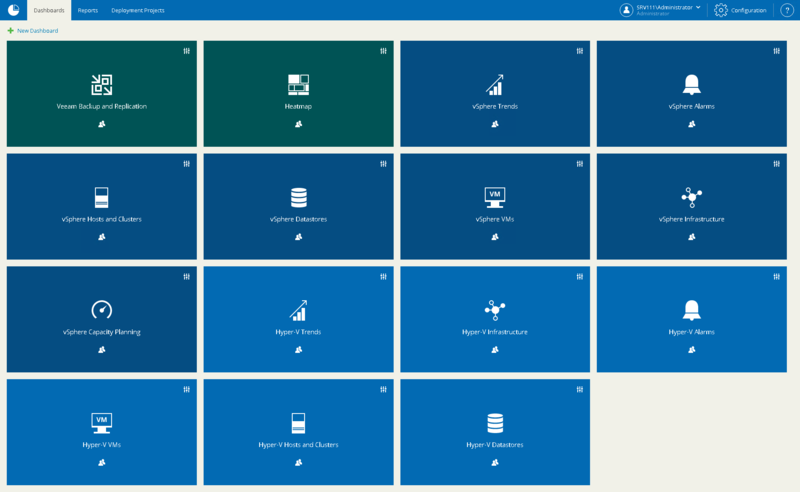 In the Workspace section, you can work with reports and deployment projects. Reports provide an insight into performance, health state, configuration and efficiency aspects of the Veeam Backup & Replication infrastructure and virtual environment. For details, see Reports and Deployment Projects. 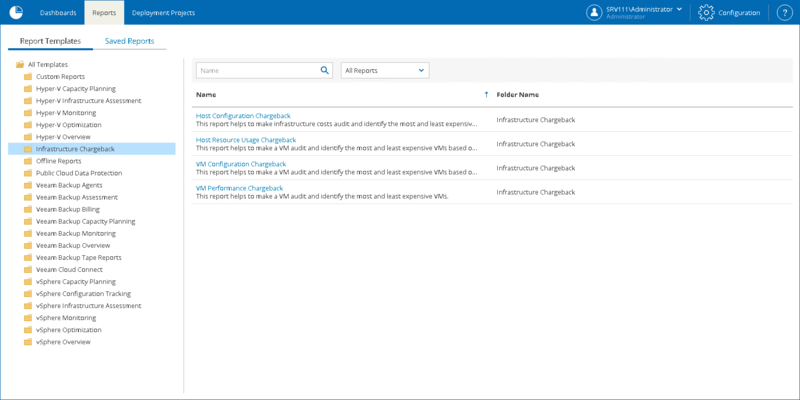 In the Configuration section, you can configure Veeam ONE settings and perform administrative tasks, such as scheduling data collection for reports and dashboards.